Leftover sweets have taken over the kitchen, the radio is playing Ariana Grande again, and presents no longer reside under the tree…it is the Post-Christmas Slump. While many of us don’t return to work until 2019, although we’ll be writing 2018 on important documents by mistake for the next few weeks, we have time to set ourselves up for the best year yet. Getting started is as easy as these 5 simple steps! You don’t even need to move from your chair to accomplish 4 of them. I suggest one main intention/goal. It is easy to say we’ll eat better, workout 5 days a week, stop overspending, raise our voice less at our children, AND treat ourself to one new thing each week. But how likely is it that we can change all of those habits at once? From watching those who have succeeded at sticking to their resolution over the years I have learned the secret is to start in one place. Secret #2, know your why! This is a few levels deep… For example: Why do I want to lose weight? To be healthier. Why do I want to be healthier? So I have more energy each day to play with my kids and I feel better when I look in the mirror. Why? I want my kids to have memories of me laughing and participating in dance battles with them, instead of memories of me having to sit down and take a breather on the couch because I’m out of breath from carrying all this weight around. THERE IT IS! That is a strong why that can keep you motivated. Lets do it again: Why do I want to start budgeting? So I have financial freedom. Why do I want financial freedom? I want to be able to purchase a home with my boyfriend in a few years. Why? With a home to raise a family and no debt I will have the opportunity to start a thriving business. Why would having a thriving business AND no debt be important? Feeling successful and being able to provide without being stressed over bills will make my future family closer. I want a happy family, fulfilled soul, and legacy. THERE IT IS. Being able to tell myself all year that this $20 of Target dollar spot purchases are not helping me reach my goals of financial freedom for my future family and legacy will keep me MUCH more motivated than just saying I want financial freedom without defining what that is for me, its basically just a buzz word right? I have created some worksheets (available for PDF download) to help you review 2018, which could lead to some great resolution creations! There is even a kids version to get your little one’s year started off right. There are apps for everything now-a-days, including ones to earn you money back when you shop! It really is as good as it sounds. While it may be a slow build, free money is free money. The #1 thing to remember when using these resources though is not to buy things you would not have originally just for the reward cash, but racking up some money when I was going to buy milk or restock my makeup from Sephora? Uh, yes please. Get a sneak peek at these apps in my 5 Things To Do to Make 2019 Your Best Year Yet video on Youtube! Ibotta: You find offers in the app (for example: 25 cents back on any brand organic white milk at Walgreens or 25 cents back on any brand tampons at Target. There is deals for diapers, groceries, Groupon experiences, and SO MUCH MORE!) Go shopping!! And then simply redeem your offers by taking a photo of your receipts. I personally love the interface of this app. It is easy to use, there is a useful FAQ section, and there are 289 supported stores- Walmart, Kroger, Walgreens, Target, Amazon, oh my. You can link store loyalty cards which allows you to skip the step of turning in photos of your receipts. PLUS there are apps that give cash back too- hotels.com, iTunes, QVC, etc. Best part? You only have to reach $20 before you can transfer earnings to venmo, paypal, or convert into a gift card to your favorite store. What is the downside to using this app? Huge budget bloggers like Jordan Page from funcheaporfree swear by the safety and rewards apps like Ibotta offer so I’m on board. Drop: Shop at Sephora, Starbucks, or Whole Foods? Take an Uber? Spoil your pets with Barkbox? Cook with the boyfriend using Blue Apron? Subscribed to Hulu? If you answered yes to ANY of these, or if you shop at all, then Drop is a win-win. Unlike Ibotta you don’t turn in receipts, instead you link a credit or debit card and when you purchase you earn points. These points turn into free gift cards for Aerie, Barnes & Noble, Sephora, iHop, Nike, and so much more. Again, you are spending anyway so why NOT earn rewards? No I don’t mean with celery juice and apple cider vinegar; I’m talking about technology! This is an easy step you can take while watching TV or as a passenger on the road trip back home from Christmas. Have you been victimized (okay, that was dramatic…) by inbox overload? Unroll Me is an easy to use app that can unsubscribe you from emails, instantly! If you are like me you have at least one email where all the clutter goes to and it seems unmanageable. I use to be on top of it, but this month I let the little red dot hit 3,000 unread emails and it was stressing me out y’all. Solution: an app that lets me pick and choose which email lists I want to continue getting or unsubscribe from instantly with the swipe of my finger. It is like Tinder for bad email lists….no Walmart please don’t email me three times a day. It even has a feature called the roll up where it will put all those emails you choose to keep into one convenient email for you to simply overview at the end of the day. NEED! I’ve been using it for a few weeks and it continues to scan through my email and detect new subscriptions with no problems thus far. Completely safe. Would I trust it on a work email? Eh unsure, because connecting any sort of proxy where there is sensitive information could result in an unwanted breach. Plus, unroll me is actually silencing your unwanted emails rather than truly unsubscribing you from them which means when the app is deleted they could come flooding back. However, for my gmail account which literally collects junk and those few precious Target coupons, definitely. I am a planner addict. If an event or to-do does not make it into my planner it WILL NOT get done. So for this reason I am a planner advocate. Have you ever thought, I need to remember to buy those broadway tickets when they release in June? Or you set a doctor appointment too far in advance then your appointment rolls around unattended? How about wanted to plan out the steps to reach your yearly goal week by week? If you answered yes to any of these now is the time to invest in a physical space to write this all down. I will admit there are SO many apps to help with things like this now-a-days but I like it all in one space. Day to day things like my grocery list in the Alexa app make my life easier, but for future planning I need it in one spot where I can physically write it down…or as I said it WILL NOT get done. 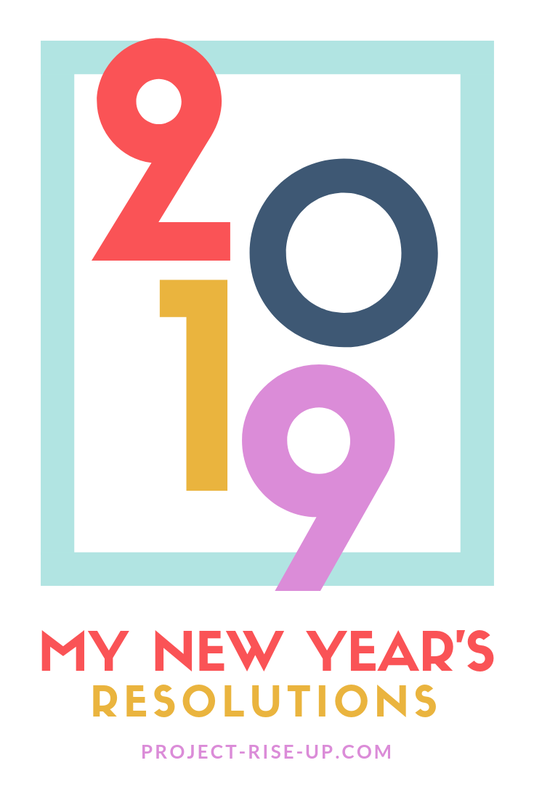 I will be creating a planner blog post soon, but to compare some of the most popular ones head over to the beautiful blogger Brighton’s 2019 Planner Round Up Review. I personally have enjoyed the Passion Planner and Mae Designs collaboration planner with Target, but I’ve found my $10.99 Rae Dunn planner from Marshall’s to be my #1 FAV! Whatever layout works for you just get it and get going. In case you missed it, I briefly talk about journaling in a planner as a great addition to your daily routine in my recent blog post 5 Ways to Stop Thinking About Journaling and Actually Start. Plan something fun to do. Right now? YES RIGHT NOW. We often let our busy lives lead and forget to take time for ourselves. Or we do get some free time and were stressing about squeezing in a massage or were fighting with the husband about what restaurant to go to for date night because the #hangry has set in. This can be something simple, like planning a Sonic ice cream date with the bestie, to something extravagant, like a big Valentines Day treat yo’self getaway, but just open a new tab to book or text a friend to pick a date and plan something fun right now! Win-win: Write it down in your planner! If you don’t yet have a planner I welcome you to use my weekly schedule PDF to keep your life organized by clicking here. Were these tips life changing? Maybe not BUT I hope they help you take a few steps in the right direction to start off 2019 intentionally and stress free. It is the little behaviors and small changes that lead us to the lives we desire. Now that you’ve started, why stop? I’m curious do you put up your Christmas decorations before or after the New Year?! Let me know in the blog comments. My grandma believes it is bad luck to take them down before the new year, but sometimes I just have to declutter.